Unfortunately, I won’t be able to see this film until March. As that is when the film will be released in the UK. Well, glad you loved it so much! I’ll be curious when you see it what you think since you hated the 2nd. Honestly, I liked this film too! However, in some ways, I think this one’s the best, but in others, I think 2 is the best! Now, just hear me out! I thought it was great that we see Master Oogway again, the development between Po’s relationship with both his biological father and adopted father were handled very well, & it was great to see Po’s other family in this one as well. However, I feel Po and possibly the Furious Five, to a degree, were developed more, and I still think Shen is the best villain out of the three that we’ve seen thus far. Oh, and I like the climax scene in 2 the best as well. I may end up going an B+ to A-, if not more, for this one! Great review though! Thanks. I can totally see that. I’d have to watch them all again back to back to 100% decide. Either way its ended up being a very strong trilogy. I think this is one of first times your slightly below me on a grade! :). But I’m glad you liked the movie. Thanks, even though I believe I was slightly below you on your Atlantis review as well. Either way, I’m glad you enjoyed this film as well! Hey, by the way, you’re rewatching the films within the Disney Animated film canon, are you not? Just curious, you mind if I ask how I get to watch those videos that you’ve posted thus far? Awesome! Thanks Rachel! I’ll try to check it out soon. You know what I thought about Kung Fu Panda 2, of course, so this may surprise me – but I thought this was very good! Much better than Kung Fu Panda 2, definitely. I don’t think it’s quite as good as the original, but it does come close in parts. I think the original did a much better job of having action and being a genuine martial arts movie, as well. But I think in retrospect Kung Fu Panda 2 did a much better job setting this film up than it did as a film in its own right. The story is bigger, the characters go places they didn’t go before, and in fact the film kept correcting all my complaints as it went along. Just as I was questioning why Shifu would set Po up to fail in teaching, there was Shifu explaining why. I questioned the fact that there was little attempt to explain how Po’s father knew to find Po, but then there was the spirit of Oogway explaining he sent the message. I remember thinking the revelation that Mr. Ping wasn’t Po’s real father was anti-climactic in the second film, but here they did handle Po’s father arriving very well. I liked that Li Shan accepted Mr. Ping right away, and that eventually Mr. Ping admits the error of his ways and embraces the role Li Shan has in Po’s life. – The film’s climax goes on a bit too long, and then the movie ends quickly. I was hoping to see Oogway’s statue being repaired, admittedly. Other than that and one or two other things I may have forgot, there was really nothing wrong with it. Top notch work, all around. 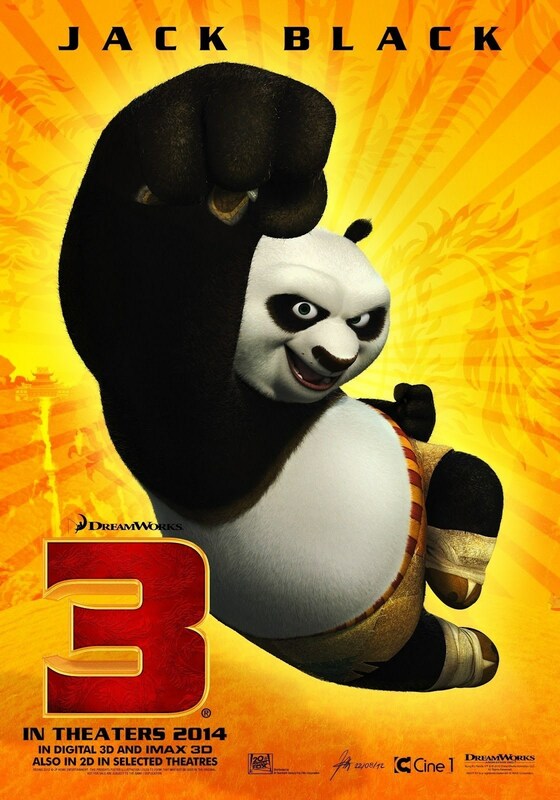 To clarify: I meant that the original did a much better job of having action and being a genuine martial arts movie than Kung Fu Panda 2 did (in response to you attributing that to Kung Fu Panda 2), not this movie. Did you think I would like it? I had a lot of problems with Kung Fu Panda 2, including the story, the villain, and climax. I did think it was lackluster. I don’t typically pay attention to animation but it was good, yes. I still have fond memories of seeing the original twice in 2008, but this film was definitely a return to form. Loved this movie. Gave it 4.4 Out of 5. Wasn’t as good the first two, but still a great animated film. Definitely one DreamWorks “better” movie of the recent years (besides How to Train Your Dragon 2). Yay! Another fan. I agree an excellent entry in the franchise. I finally watched this film and I really enjoyed it. Although I do think it’s the weakest film in the series.